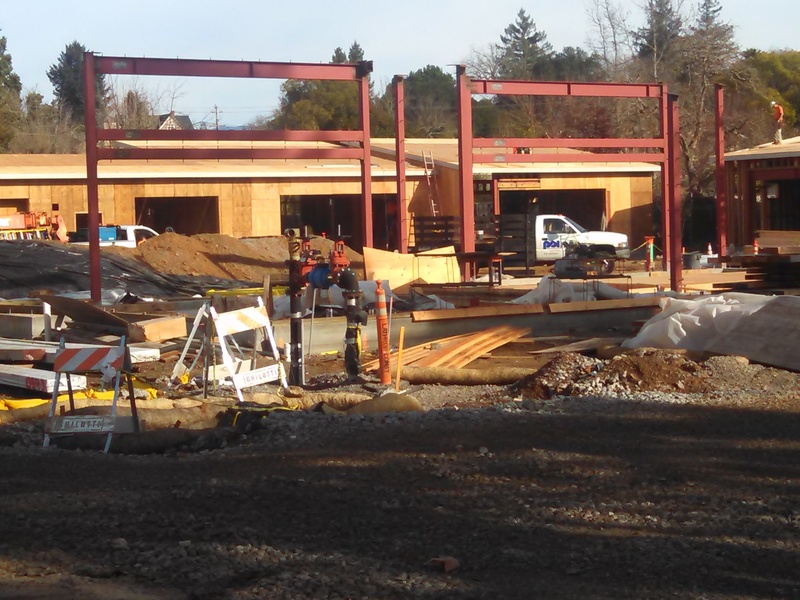 Fire sprinklers are being installed at the Healdsburg JHS | 15000 Inc.
Construction is progressing at Healdsburg Junior High School where 15000 Inc. has designed the fire sprinkler systems. The project, designed by Santa Rosa’s renowned Quattrocchi Kwok Architects, is a $7.5 million modernization and renovation for the Healdsburg Unified School District. I had the opportunity to visit the site this week and review some construction issues with Lathrop Construction and Du-Mor Fire Sprinkler. Since the Division of the State Architect eliminated the deferred approval process, the design and construction of fire sprinkler systems has become an evolving process.The mandated design process requires complete fire sprinkler system design at the permit stage of the process. Since all constructability issues are not known during the design stage, the potential for confusion over responsibilities is significant. Installing contractors are no longer certain if they can make even minor changes to the sprinkler design. This can result in RFI’s over seemingly small small changes. Likewise, even the DSA inspectors of record are uncertain as to how minor changes are to be handled. In essence, the industry is still adapting to this paradigm shift. Fortunately, at the Healdsburg JHS project, both Lathrop Construction and Du-Mor are making a concerted effort to work together and bring design solutions to the the architect and engineer when constructability issues arise. The project is set to be completed completely in June. 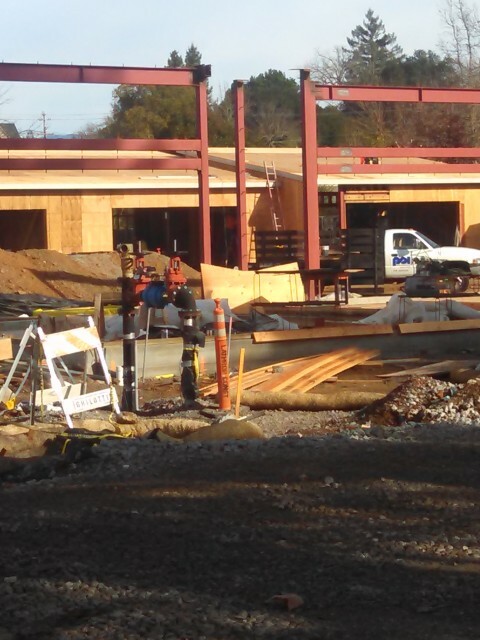 15000 Inc. is proud to to be the fire sprinkler engineer on this Healdsburg Unified School District project!